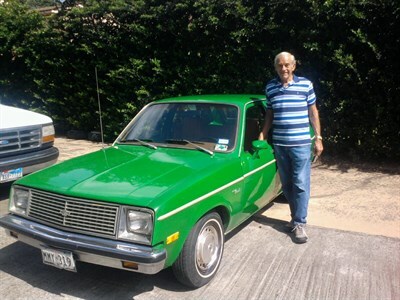 Former Congressman and presidential candidate Ron Paul (R-TX) is auctioning off his 1979 Chevrolet Chevette to help raise funds for his think tank, the Ron Paul Institute for Peace and Prosperity. If you want a piece of the action, you can check out the auction here. As of today, there are already two offers of $10,000. The highest pledge by October 15, 2013 will win the car. The think tank, based in Springfield, Virginia, is a project of Dr. Paul's Foundation for Rational Economics and Education (FREE), which was founded in the 1970s. The think tank was launched earlier in 2013. Ron Paul is Chairman of the think tank, and several congressmen and former congressmen are on the Board of Advisors, including Rep. John Duncan (R-TN), Rep. Walter Jones (R-NC), and former Rep. Dennis Kucinich (D-OH). Llewellyn Rockwell, Founder, CEO, and Chairman of the libertarian think tank Ludwig von Mises Institute in Auburn, Alabama, is also on the Advisory Board.